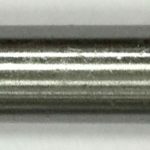 Splines can be thought of as a series of axial keyways with mating keys machined onto a shaft. 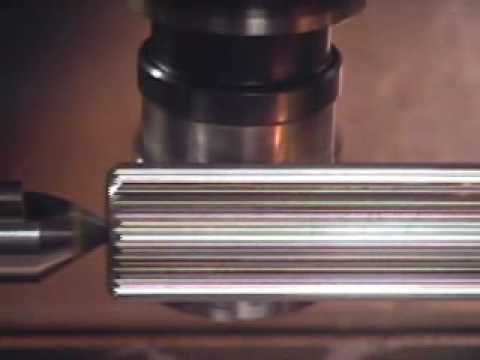 These ridges or projections/teeth on a drive shaft mesh with grooves or slots in the mating piece (usually parallel to the axis of rotation) and transfer torque to it, while maintaining the angular correspondence between shaft and mate and enabling them both to rotate together at a ratio of 1:1. Splines are almost always used in a combination of one internal and one external spline. Internal splines are usually stronger than external splines, due to their broad bases and high pressure angles at the major diameter. Slots cut into the key shaft weaken it and consequently reduce its torque-transmitting capacity, making key shafts frailer than spline shafts. Splines also provide a more uniform circumferential transfer of torque to the shaft than a key. 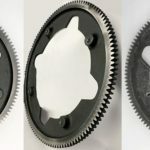 In addition, the spline connection provides an equally distributed load along the sides of the teeth, enabling a longer fatigue life as compared to a keyway drive. 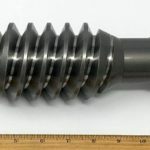 Different types of spline tooth forms allow for stronger drives, better sliding ability, transfer of rotational concentricity, allowance for misalignment and, in the case of helical spline drives, the transfer of axial and rotary motion at the same time. Lastly, advances in automotive technology have spurred demand for higher rotational speeds, torque delivery and better balancing of rotating shafts, which cannot be met by conventional keyed shafts. 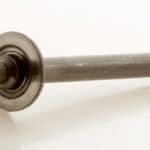 Hence, for all of the above reasons, spline shafts are increasingly being used in place of keyed shafts. The sides of the equally spaced grooves are parallel in both directions, radial and axial. The sides of the equally spaced grooves are involute, as with an involute gear, but not as tall. The curves increase strength by decreasing stress concentrations. The sides of the equally spaced grooves are usually involute, but the male teeth are modified to allow for misalignment. The sides of the equally spaced grooves form a ‘V’. 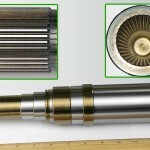 These are used on small-diameter shafts. The equally spaced grooves form a helix about the shaft. The sides may be parallel or involute. 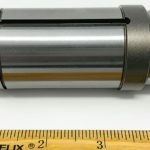 This can either minimize stress concentrations for a stationary joint under high load, or allow for rotary and linear motion between the parts. 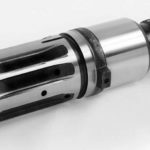 The ‘teeth’ of the outer part are implemented with a ball bearing to allow for free linear motion even under high torque. Splines maybe either cold roll formed or cut. 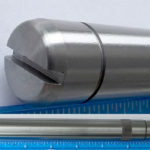 Rolled splines are approximately 35% stronger than cut spines, and hence are usually used in applications that require high strength, accuracy and a smooth finish. There are two types of splines — internal and external. External splines may be broached, shaped, milled, hobbed, rolled, ground or extruded. 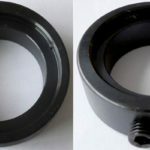 Due to accessibility restrictions, there are fewer methods available for manufacturing internal splines; for instance, internal hobs cannot be hobbed. In addition, external splines can often be cut using a milling machine, but internal splines usually need some sort of slotting mechanism. 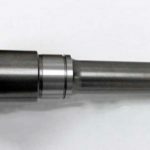 AmTech International’s manufacturing capabilities include the production of splined shafts for axles, power transmission, gearboxes and other motion control applications. 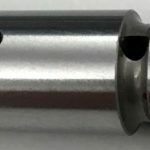 Automated machines give our manufacturing team the versatility to machine or cold form spline shafts, and we can produce spline shafts with diameters between 12mm to 105mm, lengths between 25mm to 1525mm, and module measurements between 0.5 to 12 modules. 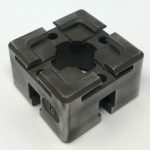 AmTech has extensive experience meeting the most challenging shape dimensions and tight tolerances, and our quality raw materials such as carbon steel, alloy steel, stainless, bronze, aluminum and competitive pricing provide the best value in today’s market.